SanDiegoVille: Will Ferrell’s Beer Festival of Choice to Make San Diego Debut on March 7 | Enter to Win 2 Tickets and Get a Free Pint Glass for Best Coast Beer Fest! Will Ferrell’s Beer Festival of Choice to Make San Diego Debut on March 7 | Enter to Win 2 Tickets and Get a Free Pint Glass for Best Coast Beer Fest! Touted as actor and comedian Will Ferrell’s beer festival of choice, Best Coast Beer Fest makes its San Diego debut to Embarcadero Marina Park South on Saturday, March 7, bringing together over 50 of San Diego’s craft breweries, 14 local chefs and emerging San Diego artists and entertainment, including a possible appearance by the Anchorman star himself. We are giving away 2 GA tickets to the event as well as offering a special promo code (SDVILLE) to get a commemorative pint glass when you purchase passes! Over 75 breweries are expected to showcase their signature brews along with new and limited release beers, as the focus of Best Coast Beer Fest is the promotion of the West Coast’s craft beers and the brewers that create them. This event is a great opportunity for beer aficionados, beer lovers and the casual beer drinker to speak to company representatives and brewers responsible for some of their favorite brews, while discovering and tasting new brews and special “limited release” beers, ales and ciders. Best Coast Beer Fest will also feature culinary demonstrations from area chefs, beer seminars hosted by beer personalities and brewers and some “off the wall” activities. Additional festival vendors will offer fresh, local cuisine for purchase and beer-related apparel and goods. 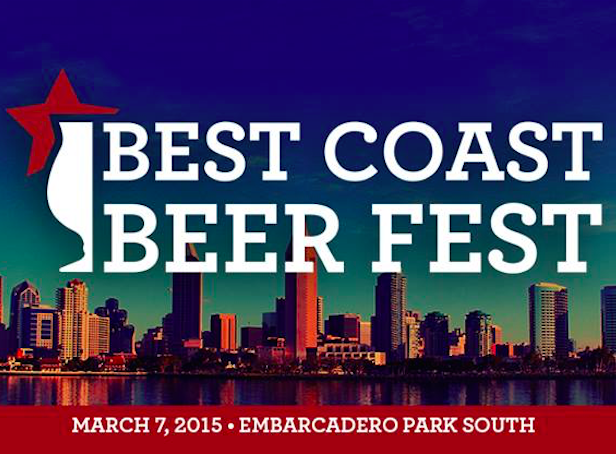 Tickets for the 2015 Best Coast Beer are currently on sale. General admission tickets are $45 in advance and $55 at the door and include access to the festival for the afternoon session from noon to 4pm or the evening session from 5pm to 9pm along with a tasting glass, unlimited beer samples, food samples and live entertainment. The evening session will also offer a screening of Will Ferrell’s Anchorman. All day passes are available for $75. Use code SDVILLE to receive a free pint glass voucher that will be sent to the same email used for your ticket purchase and will arrive prior to the event so you can pick-up the glass at the fest. In addition to general admission options, Best Coast Beer Fest offers VIP passes for $125 that includes festival access all day, access to the VIP area which includes beer and food pairings, meet the brewer sessions, limited release tastings, executive restrooms and complimentary water and soda in addition to other perks. VIP tickets are limited to 300 guests and will surely sell out. 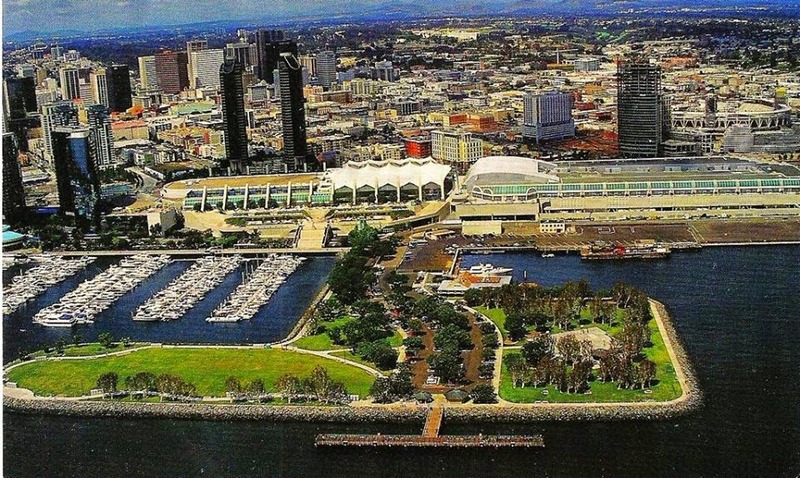 The festival also offers a “Designated Driver” ticket price of $20 to encourage attendee responsibility and use the many transportation options in the San Diego area. Tickets can be purchased by visiting ticketsauce.com/e/best-coast-beer-fest/tickets. 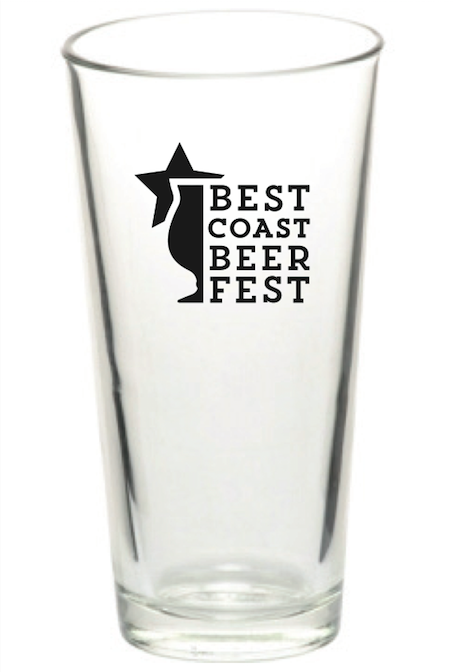 Best Coast Beer Fest benefits Cancer for College, a non-profit which gives cancer survivors college scholarships. Cancer for College was founded in 1993 by one of Will Ferrell’s best friends, two-time cancer survivor and double-amputee Craig Pollard. Craig saw first hand the physical, emotional and financial devastation that cancer can have on a family. Families dealing with cancer often exhaust every last resource in the process of returning their child to health. This battle can leave nothing left for the survivor for things such as a college education. Cancer for College provides hope and inspiration to cancer survivors by granting college scholarships. Since inception, the charity has granted nearly $2 million in scholarships to more than one thousand survivors from around the country. All attendees are urged to taste responsibly. No one under the age of 21 will be admitted into the show. Want a free ride to and from the event? SanDiegoVille has partnered with Uber and Lyft to get first time users a credit for their first ride. For Uber, use promo code SDVILLE and receive a $30 credit for your first ride, and for Lyft, use promo code SANDIEGOVILLE and receive a $10 credit for your first ride. Breweries participating in the 2015 event include 2 Towns Ciderhouse, 21st Amendment Brewery, Acoustic Ales Brewing Experiment, Aftershock Brewing Co., Anderson Valley Brewing Company, Alaskan Brewing Co., AleSmith Brewing, Alosta Brewing Co., Arcana Brewing, Automatic Brewing Co., Avery Brewing, Bagby Beer Company, Ballast Point, Belching Beaver, Black Market Brewing Co., Bolt Brewery, Border X Brewing, Bootlegger’s Brewery, Booze Brothers Brewing Co., Coronado Brewing Company, Deschutes Brewery, Drake’s Brewing, Fall Brewing Co., Fallbrook Brewing Company, Fat Cat Beer Company, Golden Coast Mead, Green Flash, Groundswell Brewing Company, Helms Brewing Co., Julian Hard Cider, La Jolla Brewing Company, Lagunitas Brewing Co., Left Coast Brewing Company, Legacy Brewing Co., Lightning Brewery, The Lost Abbey, Lost Coast Brewery, Mendocino Brewing Company, Mission Brewery, Modern Times, Monkey Paw Brewing Company, Ninkasi Brewing, Pizza Port Brewing Company, Rock Bottom Brewery, SanTan Brewing, Six Rivers Brewery, Speakeasy Ales & Lagers, Stone Brewing Co., Sudwerk Brewing Company, Thron St. Brewery, Toolbox Brewing Company, Twisted Manzanita, Urbn St. Brewing Co. and White Labs. Restaurants and Food Trucks participating in Best Coast Beer Fest include Farmer’s Bottega, Devilicious, Epic Eatz, God Save the Cuisine, I-Scream Cannoli, Mangia Mangia, New Orleans Food Truck, N.Y. Pizzeria, That’s What Cheese Said, Two for the Road, Simply Fresh, Stuffed!, Super Q and Underdogs Gastro Truck. For more information visit the Best Coast Beer Fest website at bestcoastbeerfest.com.